Winter is coming, and we could all use a Hawaiian detour right now. But if you don’t exactly have island dreams coming true sometime in the near future, find peace in this Lamborghini heading down an oceanside highway. 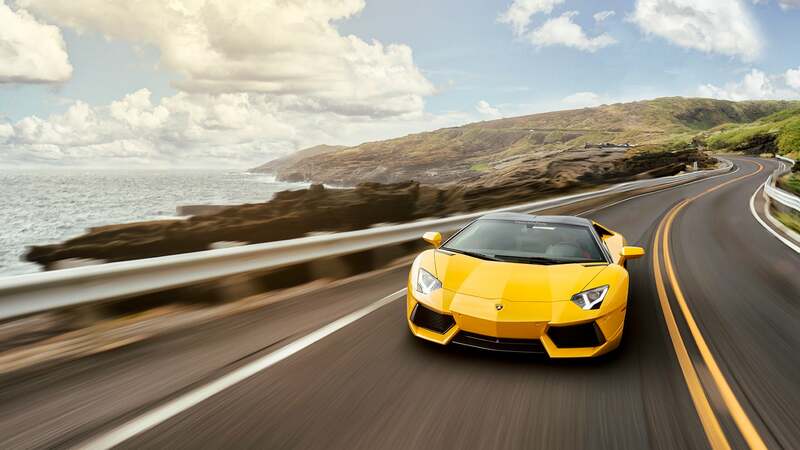 The 2014 Aventador Roadster featured in this photo is along the shore of Oahu, Hawaii, making its way down the Kalanianaole Highway. The photo comes from Trevor Jolin, who, with it, reminds everyone that we’re doing life wrong by not living there. We’ve seen a few interesting things from the Lamborghini camp since this 2014 model came out, such as confirming a non-manual Huracan and gearing up to introduce a new SUV to the market that will house a twin-turbo V8 engine when it heads into production in 2018. A Gallardo in China even became an animal transporter, when the owner tried to carry a giant stuffed animal in about the only way he could—strapped to the car’s roof—and got stopped by the police. On top of that, Lamborghini (and our friend, Trevor) allowed us to have a new desktop wallpaper that will constantly remind us of our next vacation day—a perfect thought track for the new week ahead. Enjoy the week, folks. And if you happen to snap some photos as good as this one while dreaming of your next vacation, feel free to share them with the email address below. Photo credit: Trevor Jolin. Used with permission. For more of his photos, check out his Facebook page and Instagram account. For a big desktop version, click here.